The sequel/rerelease/enhanced port of the last good Compile Heart game finally has a Japanese release according to multiple outlets. 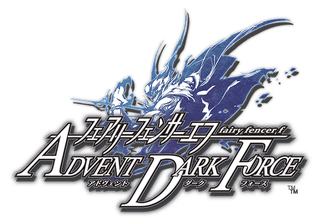 Being released November 5th for Japanese PS4’s Advent Dark Force has the entire content of the first release plus two new scenario’s that in my opinion seemed to be left out of the original game, a new character (and weapon companion I’m assuming), as well as massive changes to the battle system including an increase of the amount of playable characters during battle making this if not a full sequel most likely a worthwhile pickup for returning players. Personally from my perspective I hope the adjust the difficulty a little bit as by the end my party was so powerful I went through the entire final dungeon and final boss without ever taking a single hit. The North America localization which has yet to be announced also can probably be counted upon for release just based on NISA and Compile Hearts exemplary track record of localization even the most niche of titles which this is not. For the release date using the history of previous Galapagos RPG branded games which are the original Fairy Fencer F and the recently released Omega Quintet we could be looking at a April to May release window. Of course this is just a guess based on very limited information. Here’s hoping we hear about this game soon as for all it’s flaws Fairy Fencer F was a very enjoyable game and good first outing for the Galapagos RPG brand.